The opioid crisis continues to tear apart homes and communities. It’s a complicated problem, but working together can bring us closer to a solution. Ohio State is united in our efforts to end this epidemic, and we need your help. Our nation’s opioid epidemic has grown in publicity but not lessened in seriousness. Statistics continue to add up in staggering fashion. The federal government says about 2 million people in the United States are addicted to opioids, including prescription opioids, illicitly manufactured fentanyl, heroin and similar substances. On average, an opioid overdose kills 130 people in our country every day. Nearly 400,000 Americans have died from an opioid overdose in the past two decades, including 4,293 such deaths in Ohio in 2017. That’s the human toll of a crisis that doesn’t discriminate by age, gender, race or economic status. Dylan Stanley’s stable teenage life shattered in a 2005 car accident that hospitalized her for three months with a fractured neck, back, collarbone and face. In constant pain, she received OxyContin prescriptions over five years. Stanley switched to illicit opioids in 2010 and descended into a heroin addiction that left her a homeless prostitute. Stanley, now 29, quit heroin in late 2017 upon learning she was pregnant. Now she’s clean, a methadone clinic patient, shares a Columbus apartment with her fiancé and their daughter, Ruby, and helps others battle opioids as director of community outreach for Harm Reduction Ohio. For several years, Ohio State has been combating the opioid epidemic by supporting research, funding new ideas and deploying formidable resources for prevention, intervention, treatment and recovery. One creative part of the university’s broad strategic approach is the Opioid Innovation Fund, a grant program with more than $1 million in funding created in 2017 by the Office of Academic Affairs and the Opioid Steering Committee. Applicants were encouraged to increase understanding of the crisis and inspire helpful programs through existing or new partnerships. In March 2018, Ohio State awarded eight multidisciplinary teams with grants ranging from $100,000 to $45,000. A donation to the Opioid Innovation Fund helps us continue our work to alleviate our nation’s opioid misuse epidemic — and to address the need for mental health promotion and substance use treatment in general. Statistics show how the scourge rages on. The opioid crisis costs the state of Ohio more than $8 billion annually. But don’t be numbed by numbers. Consider the human toll in singular fashion. Each death is a person, a unique individual who never fulfilled potential, someone who possibly could have contributed to a better world. Help keep alive the thousands in Ohio suffering from opioid use disorder, put them on a recovery path and prevent others from falling prey to opioid misuse. From scholarships to nutrition and food security to world studies, the funds deemed most critical to the university succeed, thanks to support from our generous donors. 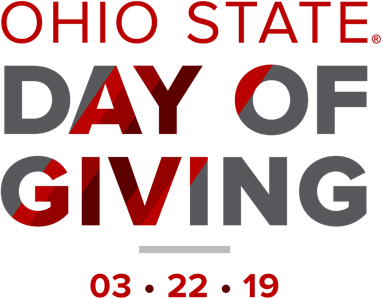 A gift to one of our university priorities allows Ohio State students, staff and faculty to pursue and fund these important initiatives. Please call us at 614-292-2141 or email us. Provides student grants to assist in covering costs associated with studying abroad and other discretionary program needs. Supports faculty, students and staff toward establishing Ohio State's transdisciplinary focus on food security. Supports an on campus food pantry and related efforts for Ohio State students who are food insecure. Provides support for the Office of Diversity and Inclusion, formerly the Office of Minority Affairs.